Professional animal communication allows you to help animals, people and yourself using a telepathic connection. You can develop this amazing skill through our proven series of techniques and tools that comprise our program. 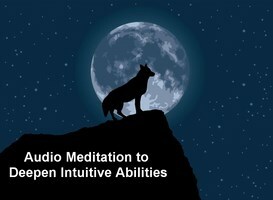 We guide you in developing your intuitive abilities on a deep level. We teach this through workshops, business courses and hands on communication sessions with our feedback. Our unique blend of instruction, intuitive work and mentoring builds your confidence. Upon completion of our Animal Heart & Soul Professional Communication Certification Program™ you will be fully prepared to work as a professional animal communicator. Animal communication takes you to a higher level of personal growth. Helping animals to have a voice and be their bridge is life changing and a true work of the heart and soul. *Pay as you go. Customized payment plan also available. Complete the form to request the 7 page curriculum. Click here to get the Path to Professional Animal Communicator Flow Chart. Click here to get 10 Things You Should Know Before You Select an Animal Communication Teacher. Click here to learn more about Animal Communication in person classes in Colorado, Montana and Texas. Learn animal communication now and never feel helpless with any animal. Experience how rewarding it can be to help change lives. Don’t delay, get started today on your path of helping animals as a professional communicator! If you are ready to make a difference in the world, request the detailed curriculum on this life changing program below or complete the program application below that.